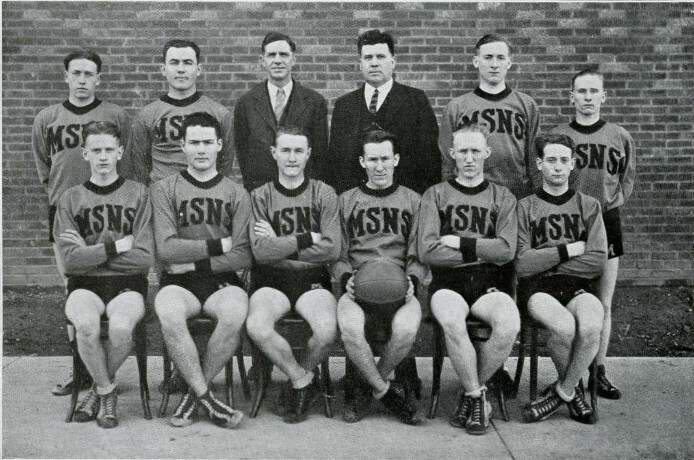 Early in 1925 Murray State Teachers College set out to expand it's athletic offerings. Carlisle Cutchin was hired as Men's athletic coach and found immediate success in football. Once the season was over the focus was set on fielding a creditable Basketball team. Open tryouts were held where about forty men showed, eager to prove they had what it took to earn their letter. After a few weeks of strenuous practice the candidates were divided into four intramural squads, and a series of games were played. Through these games a few bright stars emerged and the Varsity squad was formed.